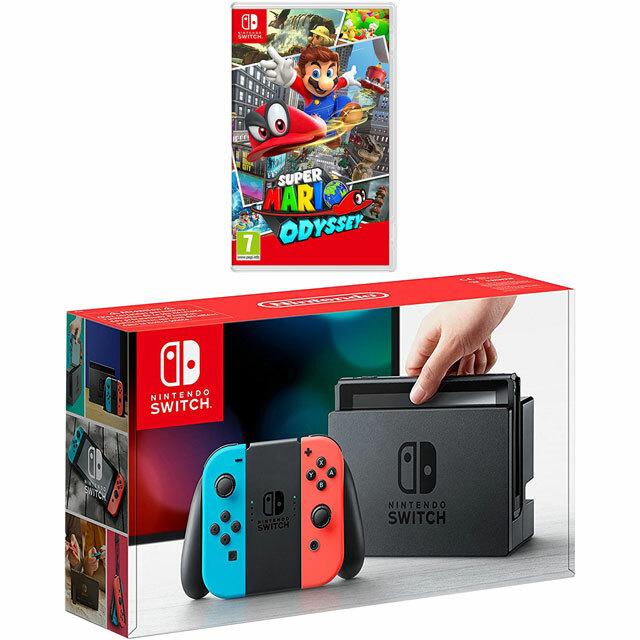 This bundle includes a physical copy of Super Mario Odyssey. Journey across a slew of different worlds to help Mario foil Bowser’s dastardly wedding plans, teaming up with Cappy and using a new capture mechanic to take control of all sorts of objects and enemies. 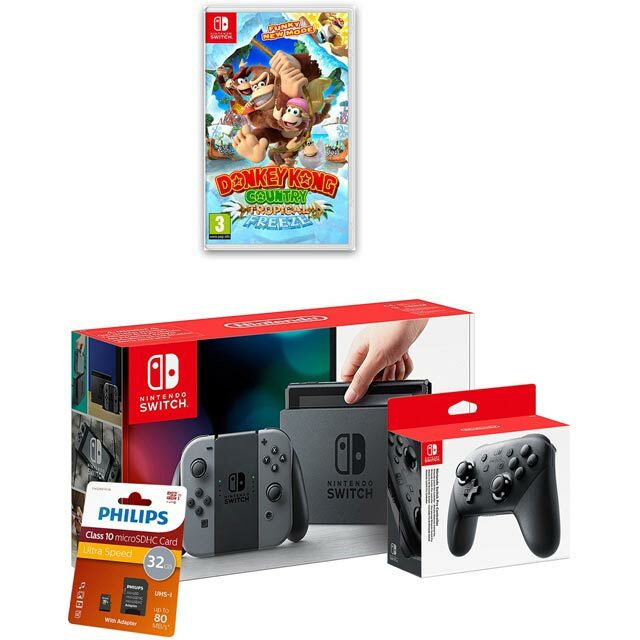 This bundle includes a copy of Super Mario Odyssey. Travel across a slew of different worlds, using Mario’s hat to take control of dinosaurs, enemies and more, all with the aim of rescuing Princess Peach from Bowser’s evil clutches. Riding in the Odyssey spaceship, you’ll travel to a sprawling metropolis, a frozen desert and more, hunting down the elusive Power Moons and solving puzzles to bring an end to the monster’s dastardly wedding plans. My Son is very satisfied. No problems so far. Great quality of gaming. 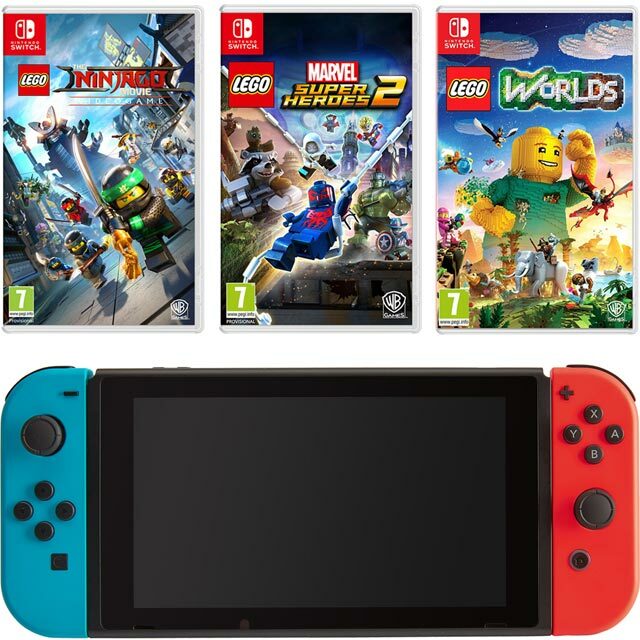 Big variety of games even in low prices. The Nintendo Switch is a great gaming console with impressive graphics and easy to use controls. I use this mainly when traveling and it's the perfect time killer. Long journeys are a breeze with this. Perfect for entertaining at parties too. Only negative I can find is the games can somewhat be pricey compared to other consoles. The kids love this game and it’s multi functional platform is very handy. 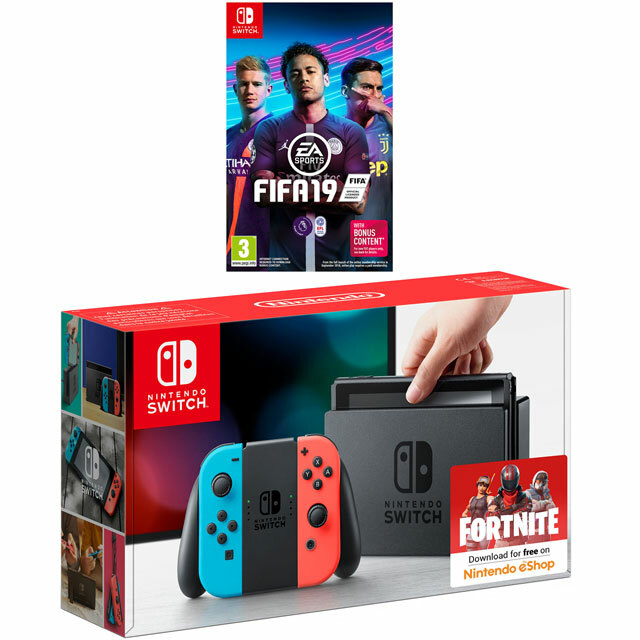 Bought this for my son's 7th birthday, he is very happy with it and thinks it's brilliant. The set up was fairly easy though the instructions on the box weren't in English. It's easy to play and the versatility of how you can play is great. 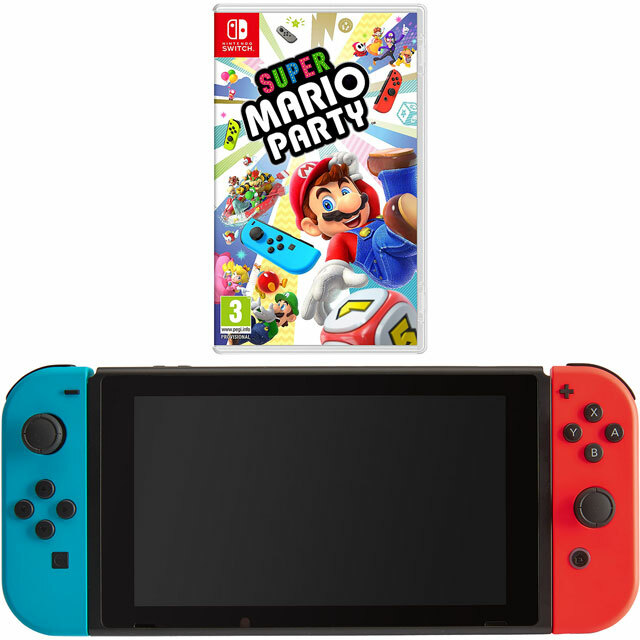 My only cons about it was the price, it is and expensive console, I choose this one with the Mario game because if I bought the game separately it would be £40 on its own. And the battery life of the screen doesn't seem to last very long, a few hours and it needs charging again. An amazing console with such an amazing game, haven't put it down since getting it unless it needs to charge. * 5027757110139 was at the higher price between 13/03/2019 and 23/04/2019.